Skin smooth, whitening, face slim, eyes brighten, acne remove…All the beauty you wish, with just one tap! 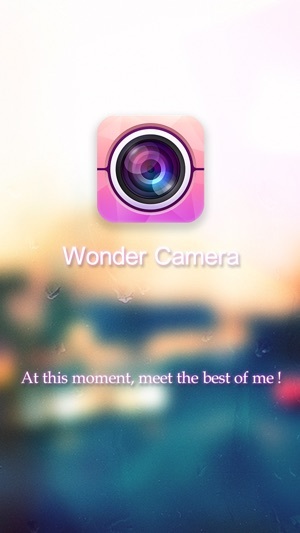 WonderCamera - you are really beautiful! 1. 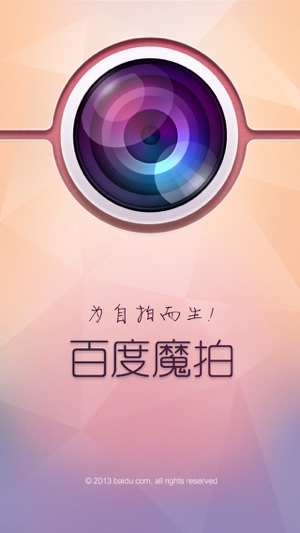 Wink to Self Shot*: Do you still have to difficultly tap the shutter to self shot? Now try the most popular Wink to Self Shot. Face the camera and wink to self shot. 2. Auto face slim and whitening with one tap: the whitening algorithm has been verified by millions of girls. Just with one tap, you will find the most beautiful you and become the perfect goddess instantly. 3. Advanced face detection system: focus on 87 key points on human face to make your face shape more perfect. 4. five levels whitening: provide 5 grades whitening effect automatically according to different environment. There is always one makes you most satisfied. 5. Magic effects: are you confident enough to see your face in a pie shape? Try our four prank effects and meet a different you. 6. Advanced beautification: what? The extent of auto whitening and face slim is not enough? You can always switch to the advanced beautification mode and try more functions and effects. It’s so simply to demand for beauty. 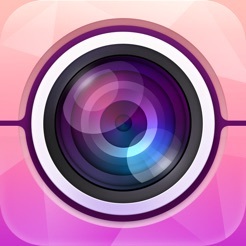 Furthermore, for the people love self shot and show themselves like you, it also provides sharing function. 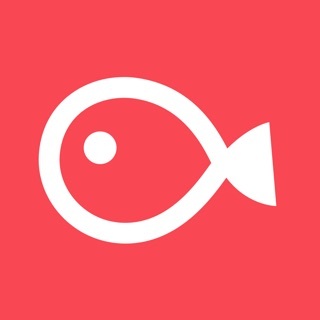 Share with one tap to Weibo, Wechat, Moments, Renren, etc. Show it whenever and wherever you want! 1.Newly added Beauty Lab. You can choose skin smoothing effect freely. 2.Optimized speed of beautifying. Improved experience of shooting. 3.Newly added FAQ for solving shooting problem rapidly. Your feedback is important for us .If you have any question or suggestion ,please go into "Setting"--"Feedback" to send them to us. It can not be used due to a problem. Ask for updates as soon as possible.